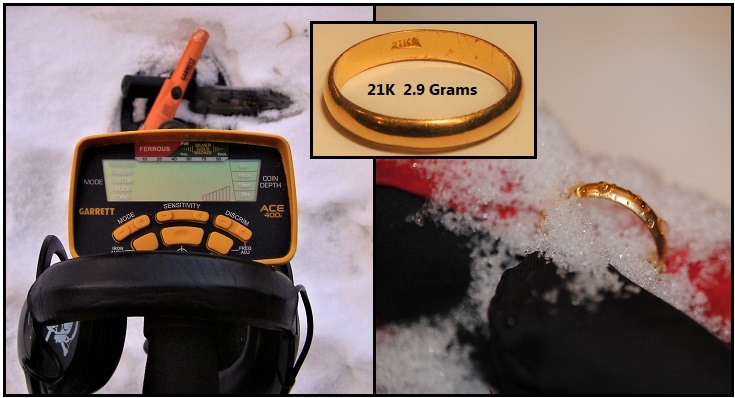 Aced A Nice 21K Gold Ring On A Snow Hunt Today! My first ring for 2019. I little on the cold side today (-16C / 3.2 F) with intermittent ice fog. The ACE performed flawlessly in the snow. I hunted in relics mode, 3/4 sensitivity. with the iron audio mode turned on. The gold ring was down about 5 inches. 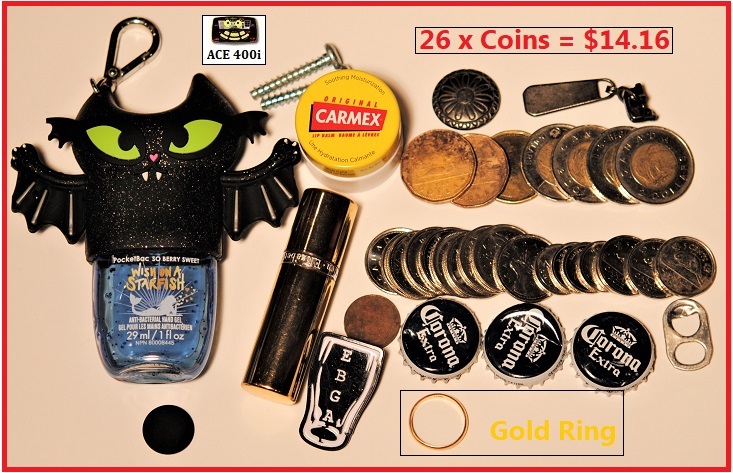 I was expecting a coin, when some gold showed up. After about 3 hours, I called it a day! Here are my totals for the day. Here's that ring I dug up......life is good! Re: Aced A Nice 21K Gold Ring On A Snow Hunt Today! Some nice finds you dug out there in the snow. Thanks.....it was a complete surprise! Was that 5 inches of snow, or 5 inches of dirt with the snow on top? Gold rings are always a welcome find and they sound so nice!